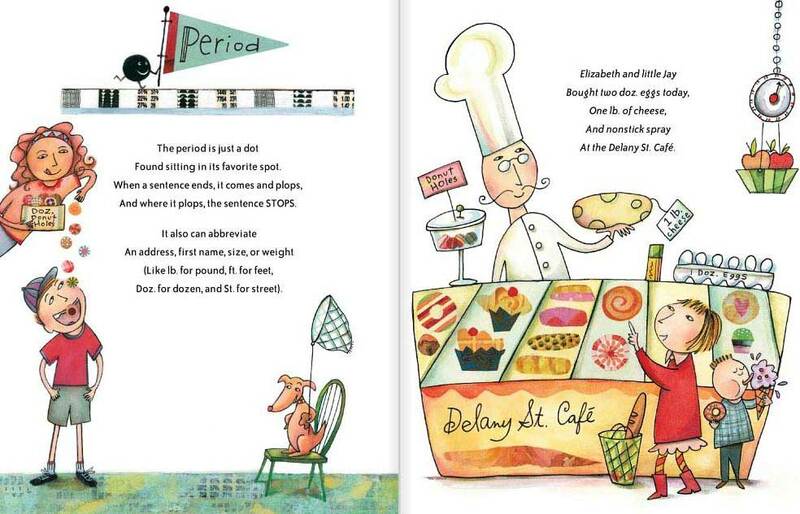 Fourteen adorably illustrated, "playfully instructive" poems featuring punctuation marks engaged in activities related to their grammar role (ie: a train is slowed down by commas) Additionally, the bouncy poems define the marks and describe what they do. Found sitting in its favorite spot. And where it plops, the sentence STOPS. Doz. for dozen, and St. for street." Featured punctuation marks include the period, comma, question mark, apostrophe, exclamation point, colon, quotation mark, parenthesis, colon, semicolon, dash, hyphen, and ellipsis. This book is ADORABLE and so clever. We think it's a must have for the classroom, and is definitely one of our favorites in this category. USA Today called it "a poetic way to learn punctuation." Agree. 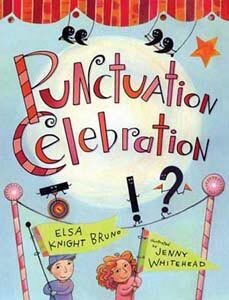 Below are sample pages from Punctuation Celebration. 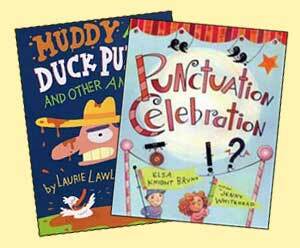 In the book, each spread is devoted to a different punctuation mark. 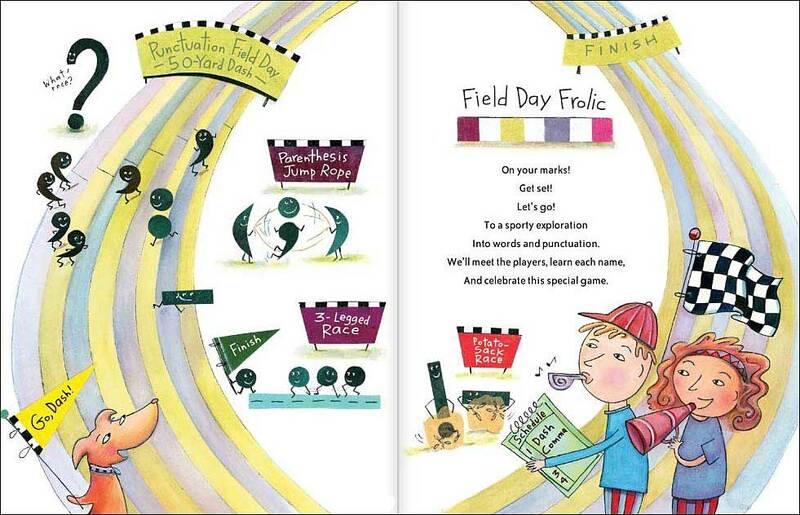 The left side of each spread has a poem about what the punctuation mark does. For example, the ellipsis poem reads: "Ellipsis points...three tiny dots.../ Are perfect for those silent spots./ Their use, dear reader, is permitted/ When certain phrases are omitted." The right side of each spread then provides an example of the punctuation mark in action.